Mokgoro enquiry to resume on Friday - SABC News - Breaking news, special reports, world, business, sport coverage of all South African current events. Africa's news leader. Wllie Hofmeyr is expected back on the witness stand on Friday. The Mokgoro enquiry investigating into the fitness to hold office of Senior National Prosecuting Authority (NPA) Advocates Nomgcobo Jiba and Lawrence Mrwebi has adjourned until Friday. This as the marathon testimony by NPA deputy head Willie Hofmeyr continues. 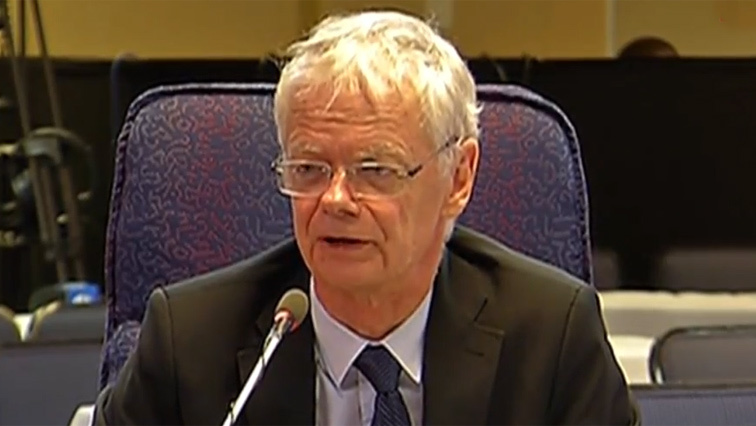 Hofmeyr has been on the witness stand for four days. He faced gruelling cross examination from both Jiba and Mrwebi’s legal teams. The cross examination comes after Hofmeyr gave damning testimony against Jiba and Mrwebi. Hofmeyr made allegations of political interference and lack of action against corruption cases under Jiba and Mrwebi’s watch. However Hofmeyr’s credibility as a witness was questioned multiple times. This was because of the role Hofmeyer played in the NPA’s controversial decision to drop corruption charges against former President Zuma back in 2009. He was part of the NPA team that made the decision but has told the Mokgoro Enquiry that he regrets that decision. Hofmeyr is expected back on the witness stand on Friday. This entry was posted on 12 Feb 2019,06:28PM at 6:28 PM and is filed under Politics. You can follow any responses to this entry through the RSS 2.0 feed. Both comments and pings are currently closed.